Each home owner has their own preference when it comes to the interior of their home, particularly in relation to their color themes, furnishings and flooring. There are quite a number of options readily available for flooring in your new Almonte Doyle home, but you’ve got to keep an open mind. Before you choose a flooring material, you need to weigh your options by looking at the pros and cons of the floor choices. Remember, your floor is one of the more permanent elements in your house, so choose wisely. 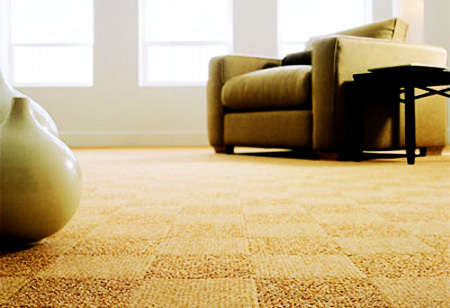 Here are the pros and cons of carpet flooring for your home. Take these into consideration and then go ahead and make your choice. It comes in a number of styles, textures and design, which can cater to your own personal preferences. It offers thermal resistance, so it keeps warm air longer than most of the other types of floors available. It is really comfortable and cozy to walk on, sit on, and even lie down on. It’s really safe, as it cushions slips and falls, which makes it ideal for homes with young children or elderly people. It’s relatively quiet, as it serves as a sound barrier. Imagine the sound of high-heel shoes coming across a hardwood floor and compare it to the sound of those same shoes coming across a carpeted floor. It requires quite a lot of maintenance, which includes regular vacuuming and occasional deep carpet cleaning. It is quite sensitive material and it tends to get dirty or stained quite easily. It may affect members of your family who may have respiratory or allergy problems, which may affected by mold, dust mites and other allergens which may accumulate in your carpet. It may not be as long-lasting as some of the other flooring options.